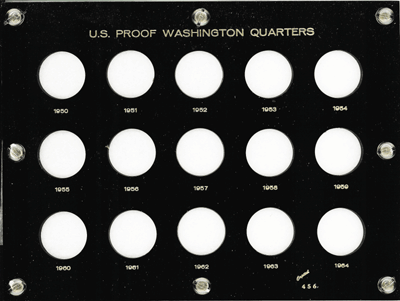 1932 to 1947 Washington Quarters Capital Plastics Holder 8" x 14"
Capital Plastics coin holder for all quarters minted in 2007. 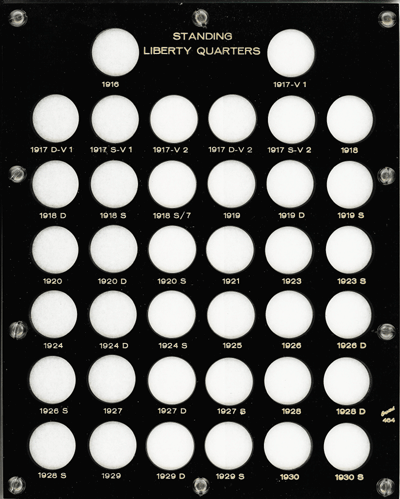 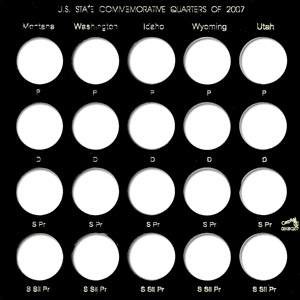 Model Size Color Pack Qty GXSQ-2007 Galaxy Black 1 Holds P, D, PR, and SPR exampls of the 2007 statehood quarters. 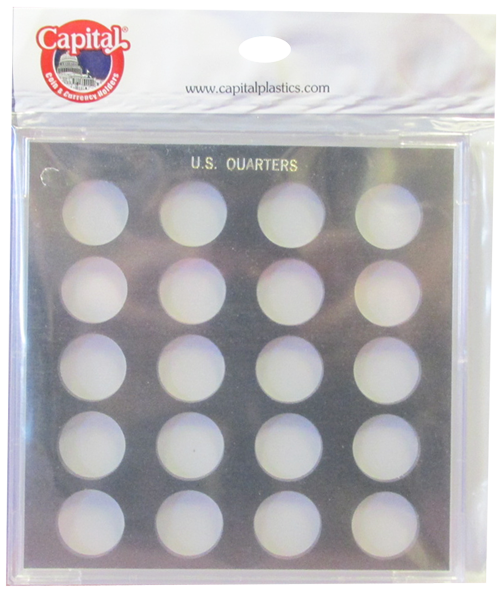 This Capital Plastics coin holder is black and has slots for 20 quarters. 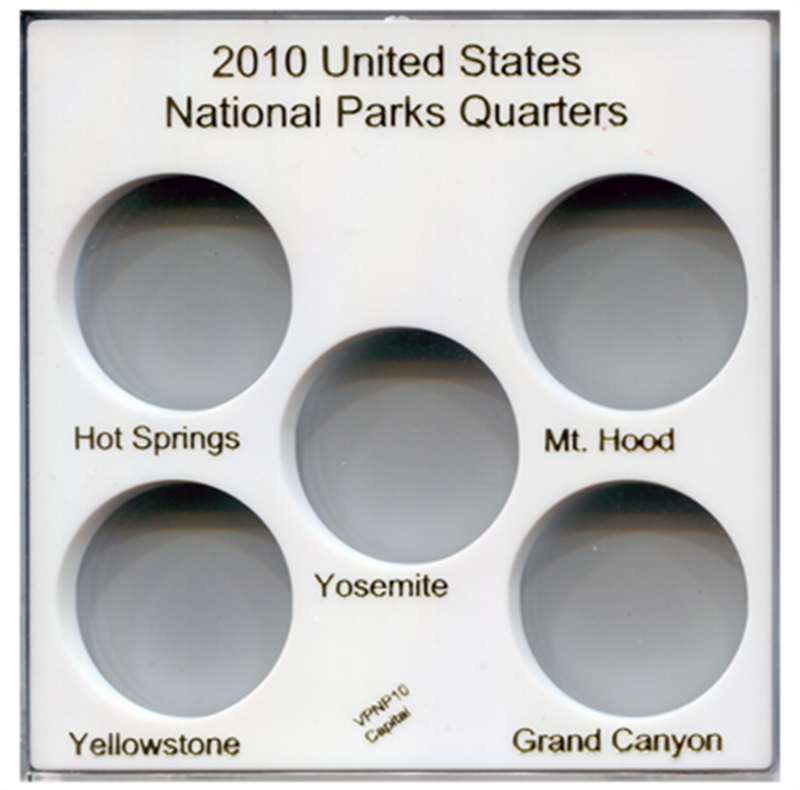 Capital Plastics coin holder for all quarters minted in 2008. 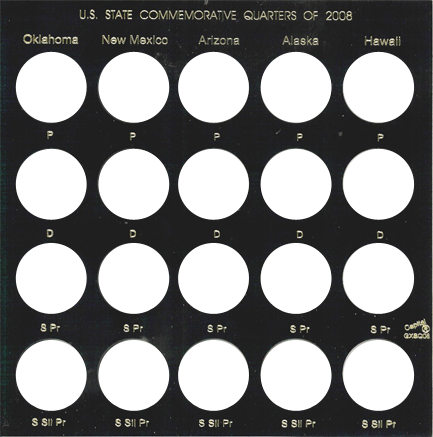 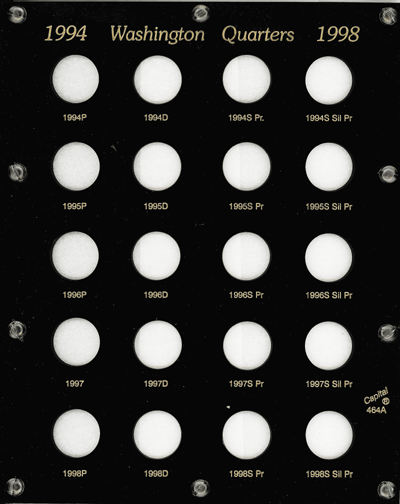 Model Size Color Pack Qty GXSQ-2008 Galaxy Black 1 Holds P, D, PR, and SPR exampls of the 2008 statehood quarters. 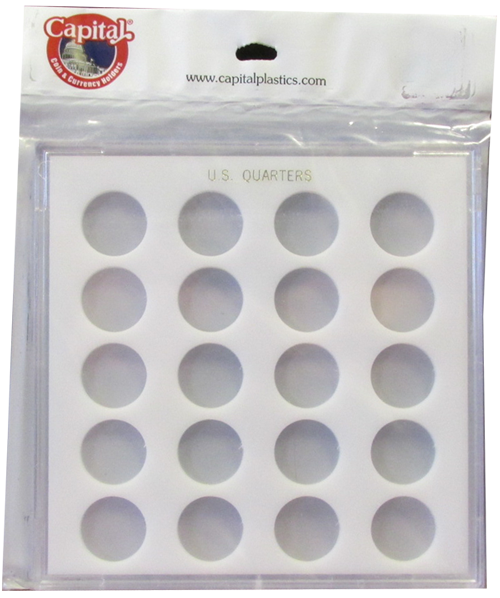 This Capital Plastics coin holder is black and has slots for 20 quarters. 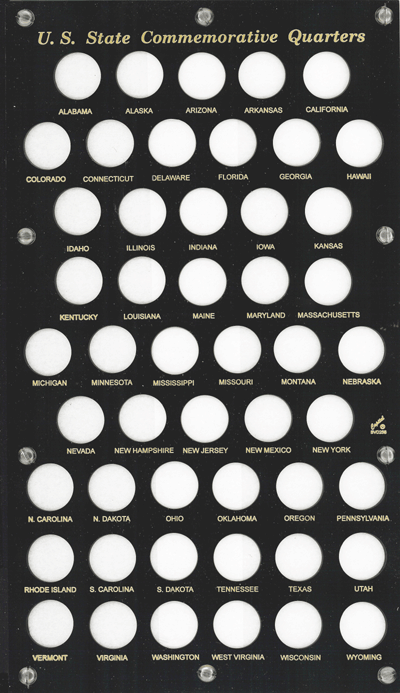 Capital Plastics coin holder for all 50 states. 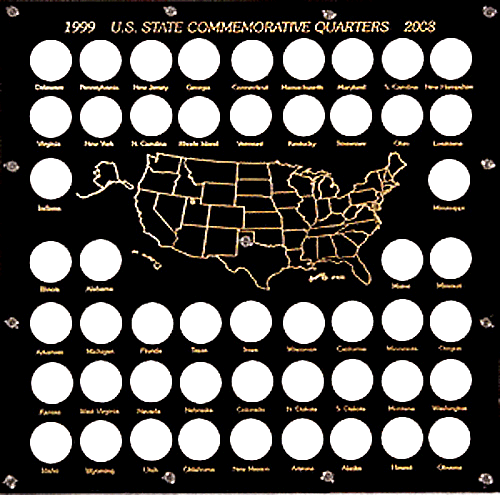 Model Size Color Pack Qty 400 12x12 Black 1 This coin holder is designed to hold 50 statehood quarters, one for each state. 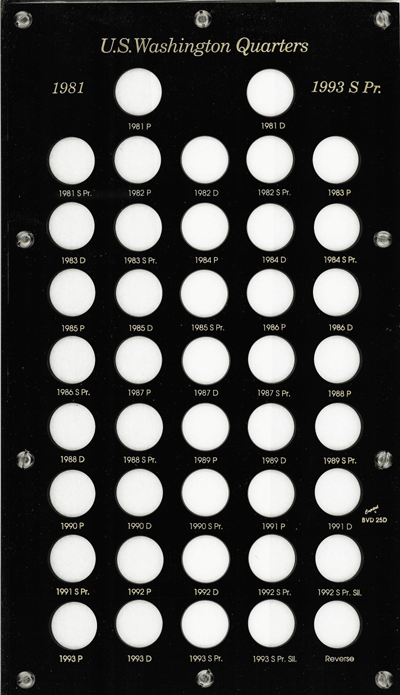 The holder is black in color and measures 12 x 12 inches.